Lesvos is making headlines again, but this time it's in appreciation of the island's beauty, namely down one particular street. Leading art, design and photography community Bored Panda put out a request for creatives to send in photographs of the world's most magical streets. They received 129 submissions in total, and after thousands of votes, Greece has emerged as the home of the world's most picturesque street. 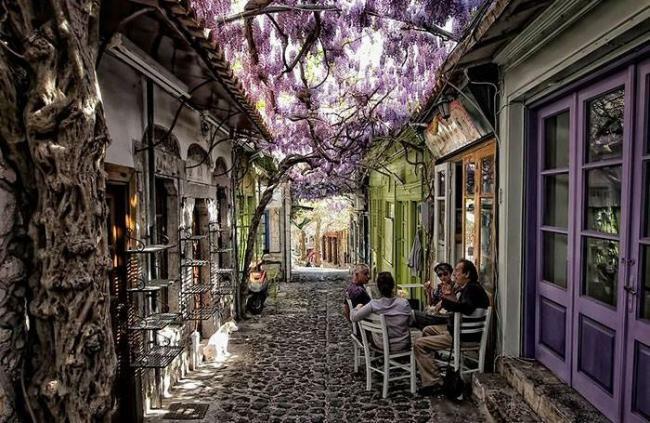 The wining image submitted by freelance photographer Konstantinos Stamatelis, shows a narrow street in the village of Molyvos, lined with small shop fronts and a 'roof' covering formed by nature itself with the overgrowth of trees and flowers. Greece also received a second mention on the list, with a street located in Nafplio, Peloponnese, which was the capital city of the first Hellenic Republic and Kingdom of Greece from 1821 to 1834.